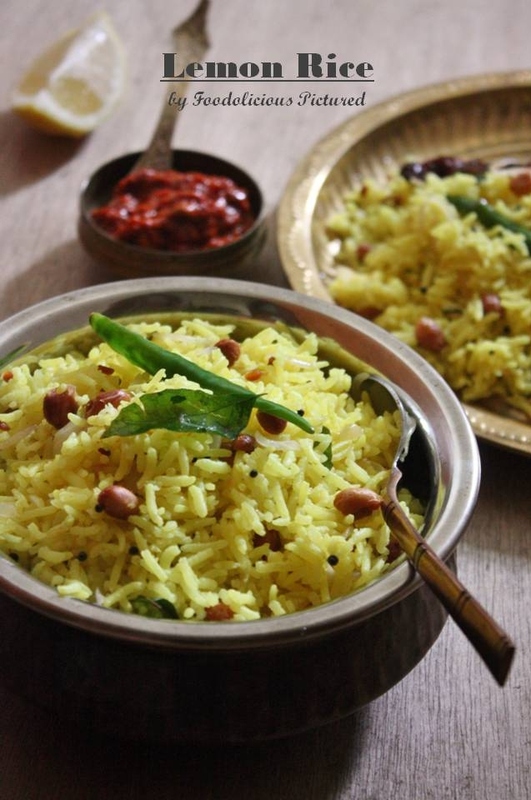 A popular South Indian rice specialty where the rice is flavored with lemon juice, turmeric and tempered with few spices and peanuts. 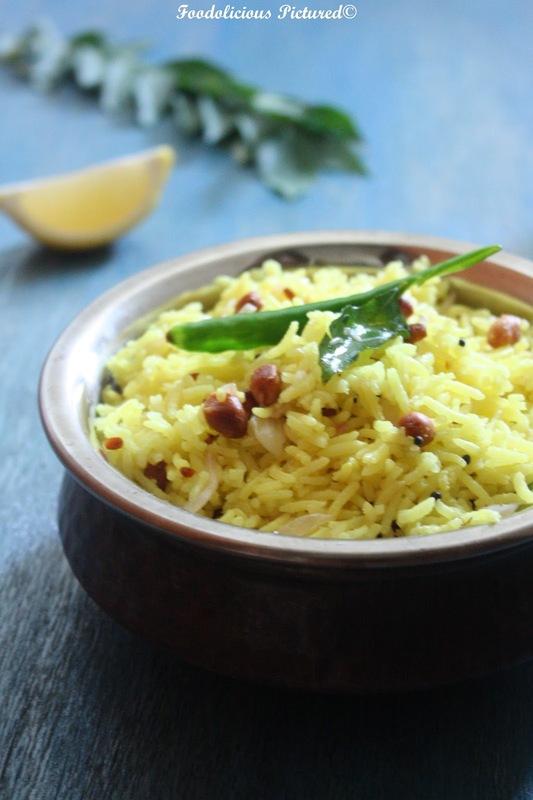 This fresh citrus flavored rice is one of the most loved dish at home. 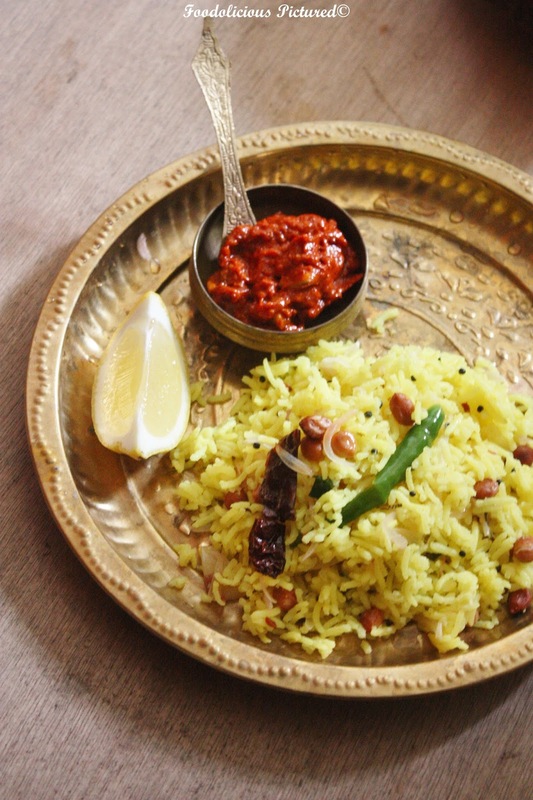 Infact this is a favorite of my mom too; one the first dish she learned to make after she moved to Bangalore from Kerala. So a lot of fond memories attached. Wash the rice and soak for 15 minutes. Drain the water completely off. In a pan, bring the water turmeric and salt to rolling boil and add the rice. Cook till done. Once the rice is cooked. Keep it uncovered for a few minutes before you use a fork to fluff up the rice slowly. Set aside. Heat oil in pan, Add the mustard seeds. when they start to pop, add the add the dried chili, urad dal, Asafoetida, curry leaves, Green chili and peanuts. Cook till the peanuts are slightly browned, stirring constantly. Pour this over the rice along with lemon juice and mix well. Check for seasoning and adjust accordingly. Serve hot with you favorite chutney or pickle. Love the pictures, tempting as always dear! 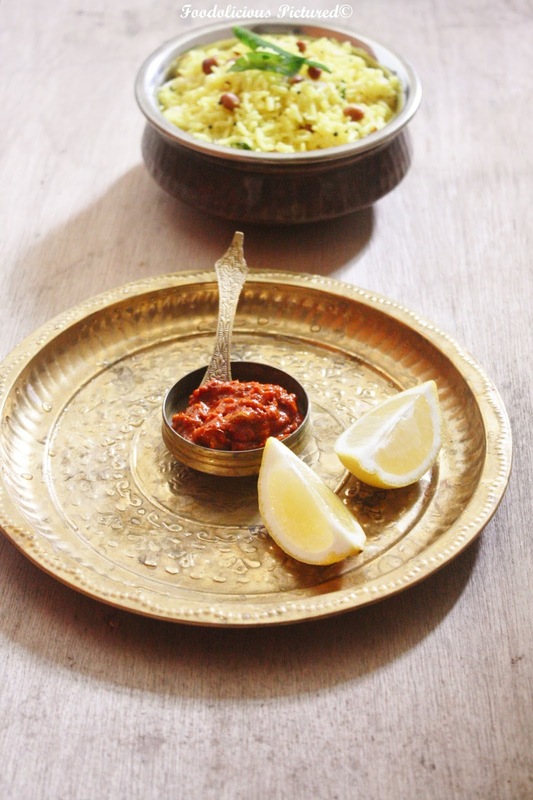 lovely dish and tempting clicks! I simply love lemon rice… Delicious..
this is one of our favorite rice. pics are too good. 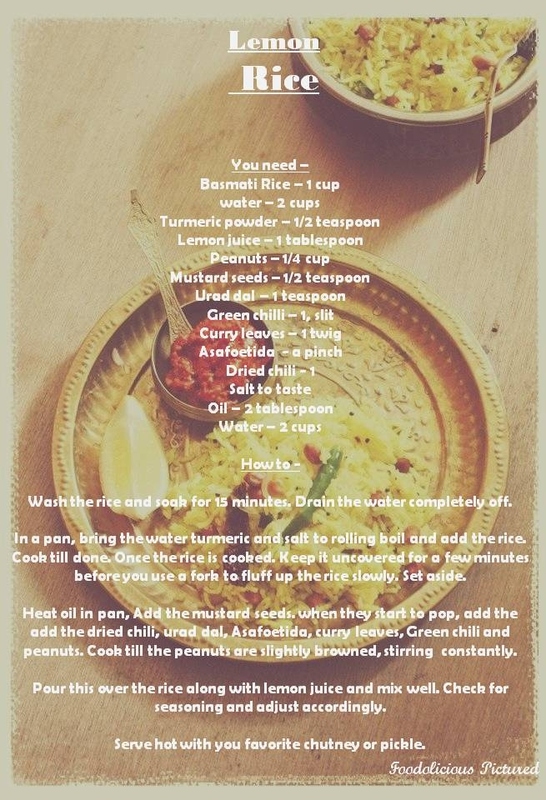 Another fav of mine, firstly I adore rice, also anything with sour taste. Its simple stunning and inviting. I simply adore your presentation skills. Too gud.love the zesty lemon flavored rice. Love your clicks.. 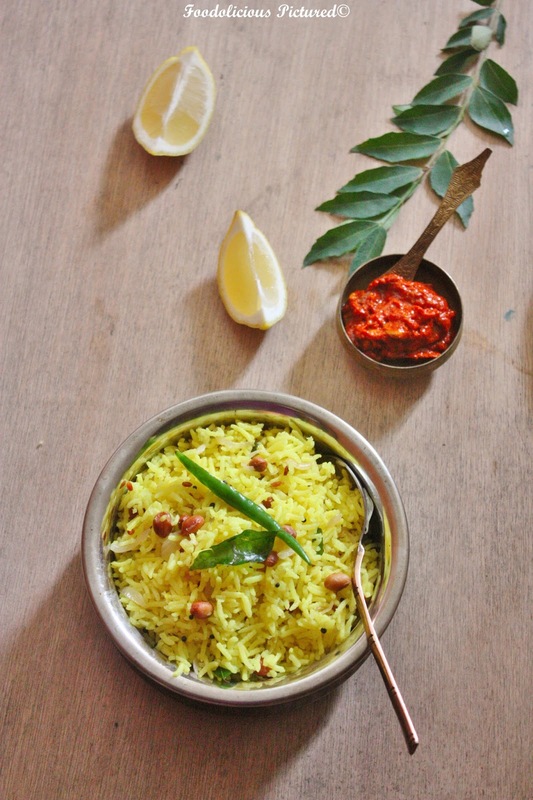 Preparing Lemon rice with basmati rice is new to me..
Love lemon rice..I remember going to this temple mainly for this rice when I was younger…Love it's flavors and it's simple too. super yummy, your clicks are awesome, very divine feeling. love it!! i so want to try this recipe now!